The crescent city of New Orleans is known for it’s Cajun food, jazz music, and voodoo. Not many people know that it has a burgeoning scene of talented painters, sculptors, and even fashion designers. This past November I got the chance to view a show at the inaugural “Southern Coalition of Fashion & Design” fashion week in New Orleans. The designer Courtney Marse ,started out in a field one wouldn’t necessarily correlate with fashion, graphic design. When speaking with the young designer, she said that her transition into the fashion world was a “slow progression” she began working with fabrics a few years ago and then began experimenting with digital textile printing. I asked about her fashion influences and she cited that the brand “tibi” with their high end effortless style, was one of her favorites. Her collection was inspired by a trip she took over the summer to Provence , France. 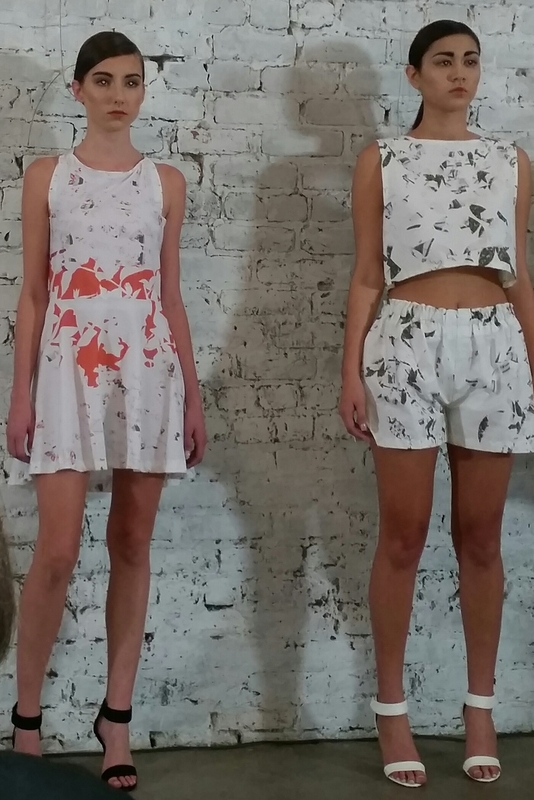 The rich , bright colored prints along a stark white backdrop of fabric resonated with the distinct freshness of the southern French countryside.Beautifully colored printed two piece short sets and dresses made up Marse’s collection . She created a narrative of well put together funky street style that was received with favor by the crowd that I personally hope to see on the bodies of New Orleans “It” girls. With a fresh take on design, and a clear vision of how to meld the worlds of graphic design and fashion, I am really looking forward to seeing what Courtney Marse has in store for us with her Fall/Winter 2015 collection. Below are some pictures and video I took from the collection. For more on the designer , visit www.courtneymarse.com.